Lucien Bourjeily is a writer and director of both theater and film but mostly known for his work in immersive and interactive theater. He is a Fulbright scholar and holds an MFA in Filmmaking from Loyola Marymount University in Los Angeles. His work in both theatre and film has traveled the worldwide festival circuits and won him many awards of which the YCE international British Council award in Edinburgh, Scotland in 2009. He brought his progressive approach to theatre to London's LIFT Festival in 2012 with his hard-hitting immersive play "66 Minutes in Damascus" which was chosen as one of 10 plays in the world that “rethink the stage” by the Huffington Post. In 2012, he was chosen by CNN as one of 8 leading cultural lights from Lebanon’s contemporary arts scene that are making an impact in Lebanon and internationally. A year later, he challenged the Lebanese government with an anti-censorship play entitled “Will it pass or not?” which was banned from public performance by the Lebanese general security but created an unprecedented media backlash against the bureau. Therefore, in May 2014 the general security confiscated Bourjeily’s passport in an obscure administrative procedure called “subduing of critics” but they backed down on their decision 48 hours later after Lebanese general public outcry. 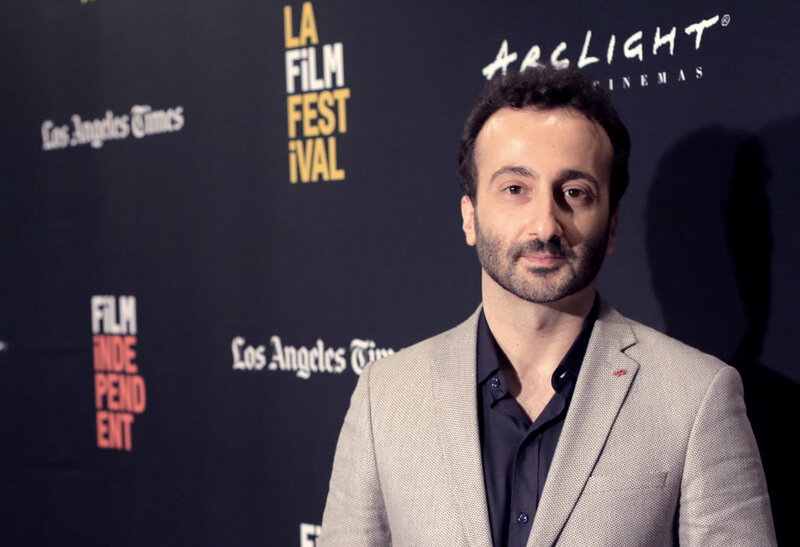 For his activism against censorship on the arts in Lebanon he was nominated for the 2014 “Freedom of Expression” award held annually at the Barbican Center in London by Index on Censorship. He wrote and directed “Vanishing State” at the Battersea Arts Center in London as part of the 2014 LIFT festival. The play implicates the audience in drafting the Middle East’s countries borders along with French and English diplomats (Sykes and Picot) at the end of World War I, a secret agreement at the time, whose consequences are still strongly felt today throughout the Levant region. Just months after the civil strife in Tripoli ended, during spring, 2015, he wrote and directed a play entitled "Love and War on the Rooftop" , which was performed by ex-fighters from the warring neighborhoods of Beb El Tebbeneh and Jabal Mohsen. His most recent play entitled "Beirut Syndrome" exploring the theme of political corruption was banned from public performance in Lebanon in October 2015 by the lebanese General Security. In 2017, he made his first feature length fiction film entitled "Heaven Without People" which premiered at the 14th edition of the Dubai International Film Festival (Muhr Awards). Will reply to you as soon as I can.